Challenges at our Traffic licensing and Testing office continue as experienced in the past two weeks, due to the contractual disputes between the two national systems of Tazima and RTMC. This unfortunate situation has impacted negatively on our systems, resulting in the eye- testing machines not functioning, Driving licence testing suspended until further notice, slow pace in the issuing of learner licences and motor vehicle registration. The Rustenburg Local Municipality apologises sincerely for this inconvenience caused as we endeavour to resolve the situation with all parties concerned. Residents of Rustenburg will be delighted to learn that once again their Municipality has in the interest of enhancing quality service delivery and bringing services closer to them, has officially launched the Municipality Court on Monday, 3rd April 2017, based at the Public Safety offices, near Tlhabane Township. This successful service delivery project is a collaborative effort between Rustenburg Local Municipality, Department of Justice and National Prosecuting Authority (NPA), wherein a memorandum of agreement has been signed, resulting in the Department of Justice dedicating a Magistrate to preside over matters, pertaining to violation of traffic laws and Municipal By-Laws. The court was supposed to have opened earlier, in January or February this year, but had to delay a bit as systems had to be put in place first after renovations of the building itself, such as, a detailed court roll had to be developed, personnel had to be sourced and deployed. “We are excited about this latest service delivery development, as done purely to the benefit of our people, for their convenience in terms of close proximity and having their Municipal related matters resolved quickly, as opposed to them being heard at conventional courts. This is another step forward in developing Rustenburg into a fully- fledged metro and world class city”, remarked Executive Mayor, Cllr Mpho Khunou, during the launch. 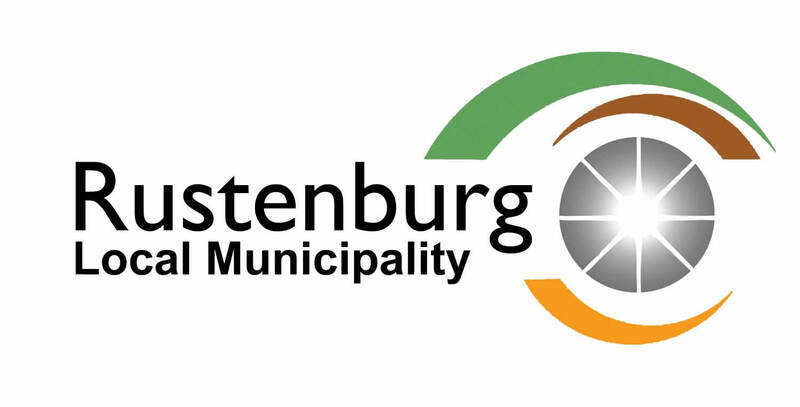 The Rustenburg Local Municipality to Officially Launch Mzansi Libraries On-Line Project. The municipality will on Friday launch the Mzansi Libraries On-Line Project whose overall objective is to empower South African communities to improve their lives through the provision of free access to information. Mzansi Libraries On-Line (MLO) is a programme of the National Library of South Africa, in collaboration with the Department of Arts and Culture and the provincial library services in all nine provinces. It is part of the Global Libraries Programme, which has benefited some developing countries. The Global Libraries Programme is based on the reality that libraries have the potential to serve and engage the entire community through targeted outreach programmes aimed at improving the lives of information-deprived communities who currently lack adequate access to information needed to live healthy and productive lives. 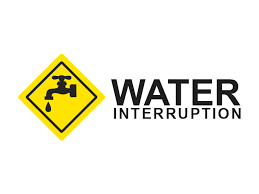 The Rustenburg Local Municipality would like to notify residents of Tlhabane West, Geelhout Park, Zinniaville, Rustenburg North, including Rustenburg Ext 9 (Industrial Area) of the water supply interruption which has affected the above areas. The interruption is due to technical challenges experienced on Bospoort pipeline supplying water to the reservoirs supplying water to these areas. Furthermore, normal water supply is anticipated to be restored by tonight. However, high lying areas will experience low pressure while the system is filling up. The municipality has arranged tankers to deliver water as an interim measure while the situation is being attended to. Residents of Dinie Estates on the Joburg road near the Waterfall Mall in Rustenburg have this morning blocked the road in protest against the killing of two people in the area over the weekend allegedly by the police. The Rustenburg Local Municipality, therefore, dispatched a delegation to mediate and ensure peace in the area. The municipality has committed to assist the families to bury the deceased and ensure that there is a thorough investigation into the killings. Sunday, 19th March 2017 at Motlhabe village. However, the matter is currently under police investigation. The Rustenburg Local Municipality (RLM) would like to notify ALL residents about water supply interruption. This is as a result of the Magalies Water’s pumping equipment failure. Magalies Water (RLM’s water services provider) is putting in every effort to repair the equipment and restore pumping to design capacity. Interruptions will be implemented from 21H00 to 05H00am daily until the system normalizes. 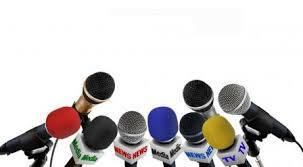 Consumers will be kept informed of the progress regularly until the situation normalizes. All Consumers are requested to use water sparingly during this period in order to prevent prolonged water supply interruptions. – That the Deputy CFO be appointed as the Acting CFO until the commencement of the employment contract of the MM whereupon he reverts to the position of the Deputy CFO. However, Council had at the Special Council meeting held on 28th February 2017 appointed the Municipal Manager who will commence work soon. For further enquiries kindly contact Mr Andrew Seome on 014 590 3525/ 3111 or 082 717 4374. End. • Contrary to initial reports, only one (1) fatality has been reported so far in Lemenong (Phokeng), after he was swept away by overflows. Executive Mayor, Cllr Mpho Khunou, visited relatives of the deceased yesterday afternoon to pay homage on behalf of the Municipality. • One person who was reported missing in Luka yesterday has been found alive today. • Twenty-Nine (29) families were relocated to the Old Kanana Clinic on Wednesday after their homes were flooded, but have since returned to their homes after receiving relief material like food and blankets. • Thirty-eight (38) families from Ramochana community have been moved to the Ben Marais hall next to town, and subsequently provided with food, blankets and mattresses. • Twenty-six (26) families from Sunrise View community were intended to be relocated the local school hall, but delayed after most of the community members feared that their belongings will be vulnerable for theft and vandalism. However, some relief material like food parcels and blankets were provided. • Scores of cars have been swept away in several roads due to overflowing. • Food parcels and blankets continue to be received and are duly being distributed to needy stranded families in various Wards as identified by deployed teams led by MMC’s, Ward Councillors and Directors. Currently we have also received two trauma cases from Kanana and Lekgalong and the Joint Operating Committee has referred the matter to the Department of Social Development for counselling. The roles of this Committee amongst others, are to coordinate and integrate all activities and to serve as a nodal point for operational activities. The teams are still out in the field assessing the situation in various Wards and collating information with the objective of helping us to provide appropriate support and assistance where needed, as we work towards obtaining the total estimated damage costs. The Municipality, in partnership with the following stakeholders, will continue to monitor the situation around the clock so as to avert further loss of life. We urge communities to exercise due care on the roads and in their homes. Meanwhile, the Municipality continues to maximise its communication with residents through Ward Councillors, website, twitter handle, face-book page, what’s up group chats, local and national radio stations by means of live studio interviews and news bites and newspapers. Two (2) fatalities have been reported so far in Lemenong (Phokeng), after the vehicle was swept away by overflows. Executive Mayor, Cllr Mpho Khunou, will be visiting relatives of the deceased this afternoon to pay homage on behalf of the Municipality. Twenty-Nine (29) families have been relocated to the Old Kanana Clinic after their homes were flooded. Thirty-eight (38) families from Ramochana community have been moved to the Ben Marais hall next to town, and subsequently provided with food and blankets. Twenty-six(26) families from Sunrise View community have been alternatively accommodated at the local school hall and also provided with food and blankets. Twenty (20) families around the Kanana community have been rescued with boats due to flooding after the neighboring dam overflew and subsequently given alternative accommodation in various community facilities. Scores of cars have been swept away in several roads due to overflowing. Food parcels and blankets continue to be received and are duly being distributed to needy stranded families in various Wards as identified by deployed teams led by MMC’s, Ward Councillors and Directors. The team is still out in the field collating data with the objective to help us provide appropriate support and assistance still needed, as we work towards obtaining the total estimated damage costs. The Municipality will continue to monitor the situation around the clock so as to avert further loss of life. Business, NGO’s, CBO’s, government departments and individuals are once again requested to donate food parcels, clothes, blankets or any kind of assistance so as to alleviate the plight of our people. Residents are cautioned to drive with absolute care as they drive and in their homes. Meanwhile, the Municipality continues to maximise its communication with residents through its website, twitter handle, face-book page, Wards what’s up group chat, three (3) local radio stations by means of live studio interviews and news bites and three (3) national radio stations and newspapers. The position of the Municipal Manager for Rustenburg Local Municipality has been vacant for a while. To ensure quality service delivery to residents, the Municipality intends to fill in the position by conducting interviews openly to members of the public and media in the spirit of openness and transparency, for the first time in the history of municipalities in South Africa. Thank you so much for your attendance in advance as we together move Rustenburg forward.